PPQ's mission is to safeguard U.S. agriculture and natural resources against the entry, establishment, and spread of economically and environmentally significant pests, and facilitate the safe trade of agricultural products. Much attention is given to plant diseases and arthropod and other animal pests that affect agriculture. Yet a pervasive and cryptic invader that is sometimes overlooked is of the botanical kind: weeds! We've gathered this set of IDaids for the first in a series of articles highlighting significant weeds of agricultural crops and natural resources. 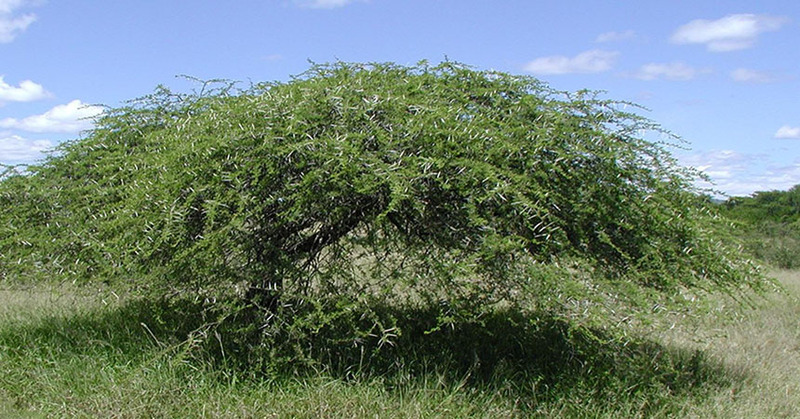 Prickly acacia or Egyptian thorn (Acacia nilotica, with synonyms Vachellia nilotica and Mimosa nilotica) is a woody legume with nine known subspecies in the family Fabaceae. Like many legumes, it can fix atmospheric nitrogen. This pioneer-species characteristic aids the plant in colonizing a wide range of ecosystems, including disturbed and arid landscapes. Acacia nilotica is native to parts of Africa and Asia, but it's been widely introduced to other areas due to its many uses, and it has become a serious weed in some regions. In the U.S., it was added to the Federal Noxious Weed list in 2011. Acacia nilotica has been introduced into Arizona, California, Florida, Puerto Rico, and the Virgin Islands. Visit Search IDaids to find identification resources for many more plant pests. This fact sheet is from a collection in FNWD, a USDA APHIS ITP tool. 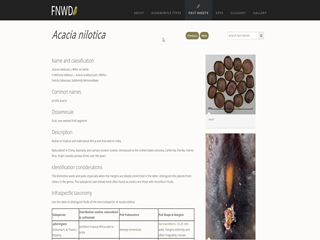 It features both a description and a table of fruit pod characters to distinguish the nine A. nilotica subspecies. Accompanying photos clearly show disseminule characters. Select “Keys” in the top menu for a key to other FNWs in the family Fabaceae. 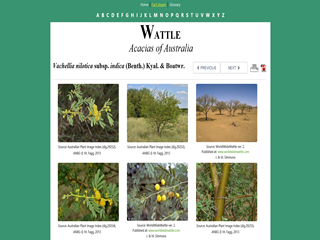 Wattle: Acacias of Australia - Vachellia nilotica subsp. Indica (Benth.) Kyal. & Boatwr. 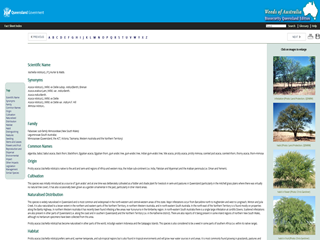 This fact sheet, from a collection in Wattle: Acacias of Australia, includes a description along with photographs and several botanical drawings of the plant. 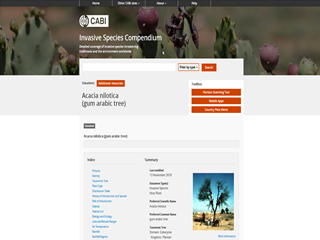 Click "Home" in the top menu, then select "Identify" to launch a key useful for identifying over 1,000 species of Acacia and some other closely related taxa. Along with information on many management and control related topics, this datasheet supports identification with many “pictures” and their descriptive captions, a “Distribution table,” and a “Biology and Ecology” section. This fact sheet includes both detailed descriptions of the different plant parts, as well as overall distinguishing features. It also has many enlargeable photographs and a list of similar species and their differences.